We are side hustling ladies but lately it seems everyone has a side hustle. It can look easy and fun but that's usually not the whole picture. 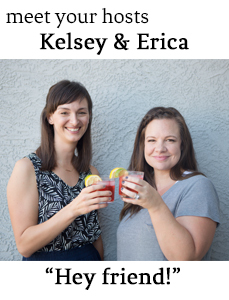 We've pulling back the curtain to talk about the side hustles we've had and what we have going on now – including this podcast and both of our writing careers. We talk about what we've learned, whether we make money from our side hustles, and what advice we have for side hustlers out there. Sign up for our monthly newsletter to get behind the scenes peeks and be the first to hear about upcoming topics.